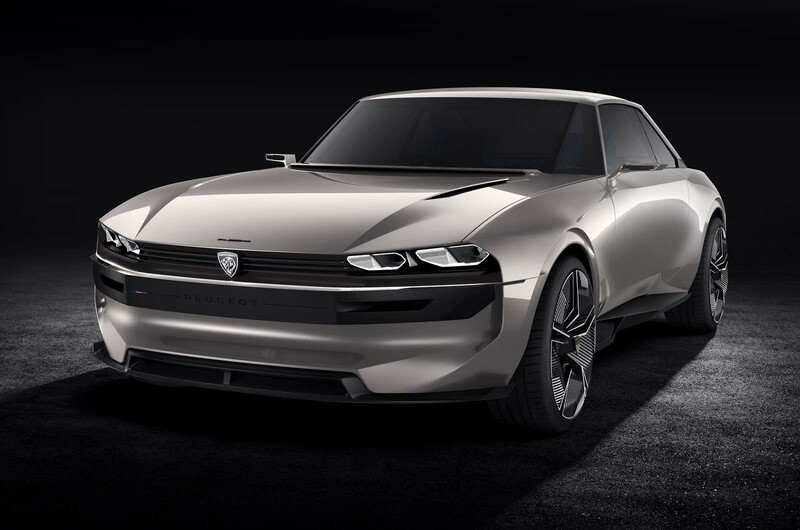 The Peugeot e-Legend Concept, an electric sports car with advanced autonomous features styled on the 504 coupé, has gone on display at the Paris motor show – and the firm's boss has said he would "love" for it to go into production. The machine has been created by the French firm to prove that cars in the future can be exciting. Peugeot boss Jean-Phillipe Imparato said he was proud of the concept and would love for a model based on it to go into production but a decision was still some way off. "We don't want to take the decision [on production] until until our electrification process is complete in 2020," said Imparato at the Paris show. "Then we will decide if we want to make it." The e-Legend arrives 50 years after the French firm launched the popular coupé version of the 504. The new car takes numerous styling cues from that machine, including the twin headlights at the front. 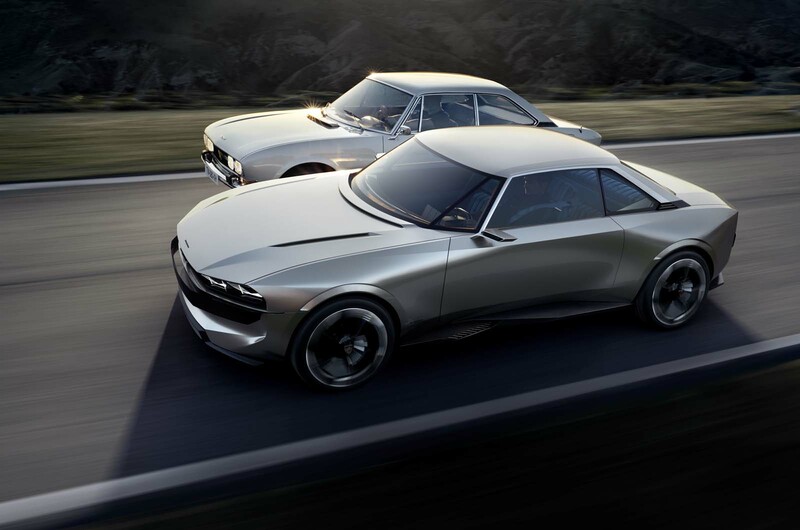 Under the retro styling, the e-Legend is intended to showcase future technologies. It is designed to an electric powertrain featuring twin motors – located on each axle – that produce 456bhp and 590lb ft, delivered to all four wheels. It has a 0-62mph time of less than four seconds, with a top speed of 137mph. It features 100kWh of battery capacity, located under the floors, which offer a range of more than 370 miles. Two driver modes are available. 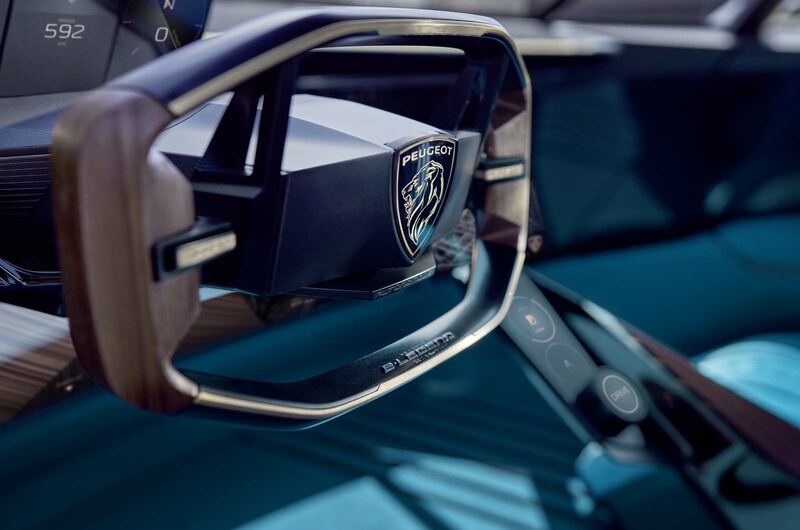 The Legend mode features three smartphone-sized driver display screens that mimic the three dials on the 504 coupé dashboard. There is also a Boost mode, which uses a single driver information screen and projects images from the car’s cameras onto digital surfaced inside the car to offer a more immersive experience. The seats are clothed in a blue interwoven velvet, which also echoes the 504 coupé. The e-Legend is also designed for level four ‘hands-off’ autonomous driving. It features a new version of Peugeot’s i-Cockpit system that retracts away from the driving into the minimalist dash to offer more space. Much of the dash is replaced by a Focal soundbar, under which sits a large 49in curved screen, which functions as a information display during normal mode and a screen for watching film of using media in autonomous mode. It also has a built-in video game: a version of Pong, which was developed around the same time as the 504 coupé. 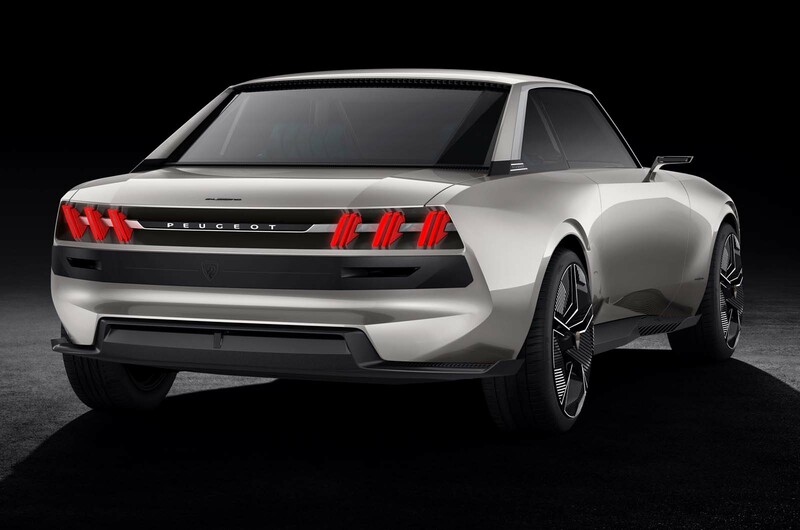 The e-Legend has been developed purely as a concept machine, with no plans to put it into production. However, Housssan said that “many elements” on the car could be used on future production models. How much did the 504 coupe influence the design? Is this car designed to reassure people that autonomous cars can still offering dynamic driving and styling? What does this car say about future autonomous car design? It makes me sad that Peugeot have no plans to put this into production, yet they torture us with the beached-whale inspired looks of the 2008 & 308. I can't fault this concept for anything. It's almost perfect in every aspect. It makes me sad that Peugeot have no plans to put this into production, yet they torture us with the beached-whale inspired looks of the 2008 & 308. I can't fault this concept for anything. It's almost perfect in every aspect. So PSA build this car and sell how many?...enough to match the numbers of beached whales that provide the finance to produce this concept in the first place?. Can you name ONR concept that was built EXACTLY as a production model?...seems you don't understand the concept of the vehicle concept...or is that to much of a concept for you to understand?. Umm, what? Did you read my comment? To simplify it for you: PSA production cars look uninspiring. This new concept looks great. There are plenty of road cars which look amazing... PSA certainly doesn't make one of them. Your primary point was to whinge that production is not going to happen, already clear from the article...if this was further done the list of priorities, then it should have been placed there, or not at all...then you go on to repeat your earlier subjective comments, without stating that they are your humble opinion...this is oft seen when folks such as your good self have nothing else to offer...and so it came to pass. Calm down there matey. Of course, my comments are always my opinion. Sounds like you're just arguing for the sake of arguing now. Great to hear they are thinking about a production version of this car though. Also very much looking forward to the Honda Urban EV... A couple of exciting retro designs. This and the Honda concepts prove that EVs can be interesting and exciting. Unfortunately this stunning coupe has the wrong badge - people who could afford it wouldn't buy it. Like the BMW concept iNext, this one features very slim A-pillars which would, if realizable, aid vision enormously. But like the BMW, the article doesn't mention whether this is mere fantasy or actually technologically feasible. The A-pillars seem ultra thin. After a closer look, there're not. The story being pushed is that autonomous cars do not have to be boring. Strange coming from a company that already makes boring cars.